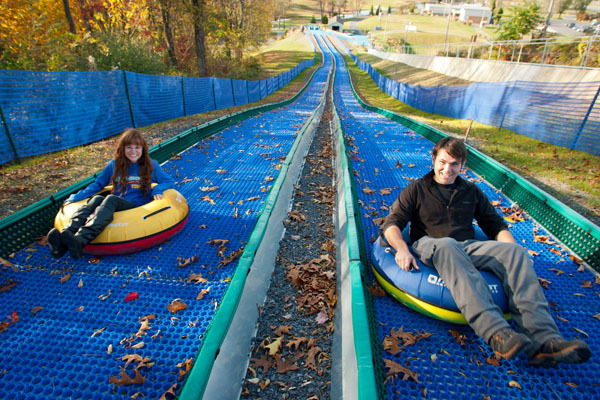 In the Pocono Mountains, we love festivals almost as much as we love fall foliage. So, when the time comes to combine the two, everyone is in on the action. Fall festivals fill the weekends from late September through October. 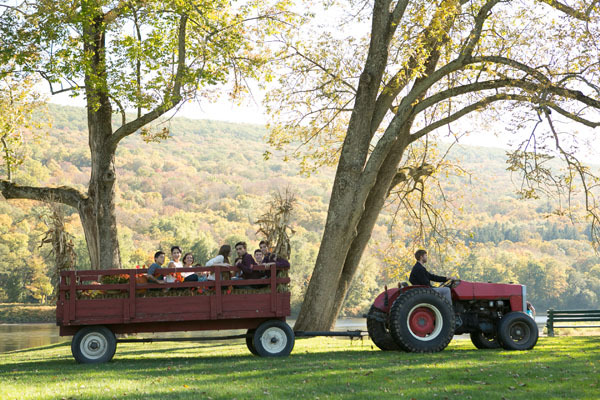 Fall activities range from celebrations of harvest and history to festivities of food and fun. And while most autumn events are open to all ages, some have special features just for kids. 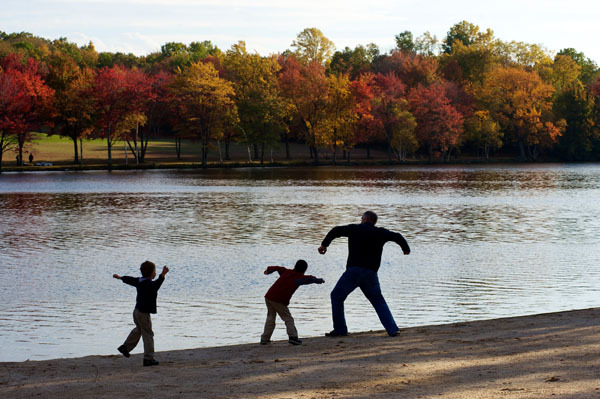 Below are ten upcoming fall family festivals in the Pocono Mountains. Fall festival season kicks off with HarvestFest on September 22, 2018! Experience ven-dors, activities and fun for the whole family. 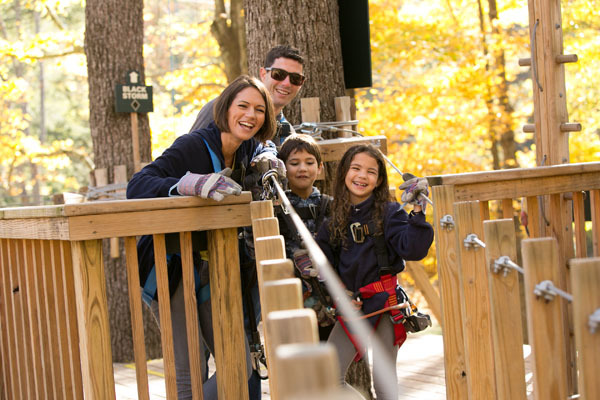 Bring the kids for a full day of autumn amusements. Expect fall-themed food, children’s activities, shopping and entertainment courtesy of the Sherman Theater. Times: Weekends: 11 a.m. to 6 p.m.; Weekdays: tentatively noon to 4 p.m.
“The largest pumpkin festival in the Pocono Mountains” is open daily through October 28, 2018. This annual event is fun for all ages, but it’s especially enjoyable for families with small children. Highlights include pumpkin picking, hay rides and mazes, a free petting zoo, bounce houses, carnival rides and games. Enjoy great food and shopping in the “World’s Largest General Store”, or try your luck in the escape room! Some activities are available on weekends only. Give the kids a glimpse of the past during the 44th Annual Harvest Festival at Quiet Valley Living Historical Farm. Costumed re-enactors portray farm skills and crafts like spinning, weaving, blacksmithing and yarn dyeing. They cook in the outdoor brick oven, share sto-ries in the one-room schoolhouse and drive horse-drawn wagons around the farm. 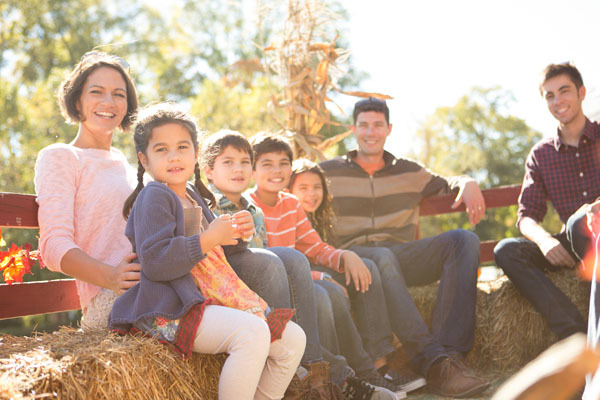 Addi-tional activities include pumpkin decorating, pony rides and a Civil War encampment. There will be food and folk music for all to enjoy. Revel in autumn in East Stroudsburg during the community’s Annual Fall Fest and Block Party. Enjoy family-friendly activities including pumpkin and face painting, crafts and car-nival rides. Tour the Historic Dansbury Depot and Railroad Switch Tower, see a Steamtown train, a fire truck and more. There will be live entertainment plus vendors, dis-plays and refreshments. Come prepared because this event will be held rain or shine. Brilliant fall foliage sets the stage for two days of autumn action at Shawnee Mountain. This annual festival has children’s activities including a special kids’ area for magic shows, fortune telling, juggling, pig races and more fun for little ones. Experience daring demos by lumberjacks, blacksmiths, chainsaw carvers and canines plus live music, food and craft vendors and scenic chairlift rides. Fees apply to certain activities. Celebrate the fall season with PEEC! Your children will experience a fun-filled day packed with arts and crafts, hands-on learning stations, conservation exhibits and old-time activi-ties. 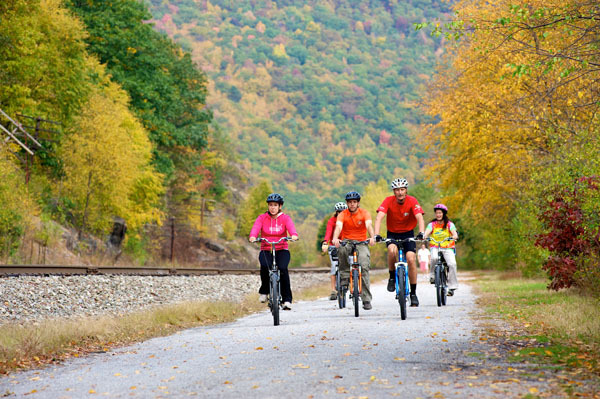 Local food, music and other fun will be available amid the stunning fall foliage of the Delaware Water Gap National Recreation Area. All are welcome to attend Skytop Lodge’s 13th annual Harvest Lake Stroll. The day will include something for everyone, with entertainment and food samplings set around the pri-vate lake. National and local vineyards will be on site to offer samples, and Skytop’s culi-nary team will present a mouthwatering menu that blends the tastes of the season.